On June 22, 2018 we officially launched our sports ministry, beginning with soccer. 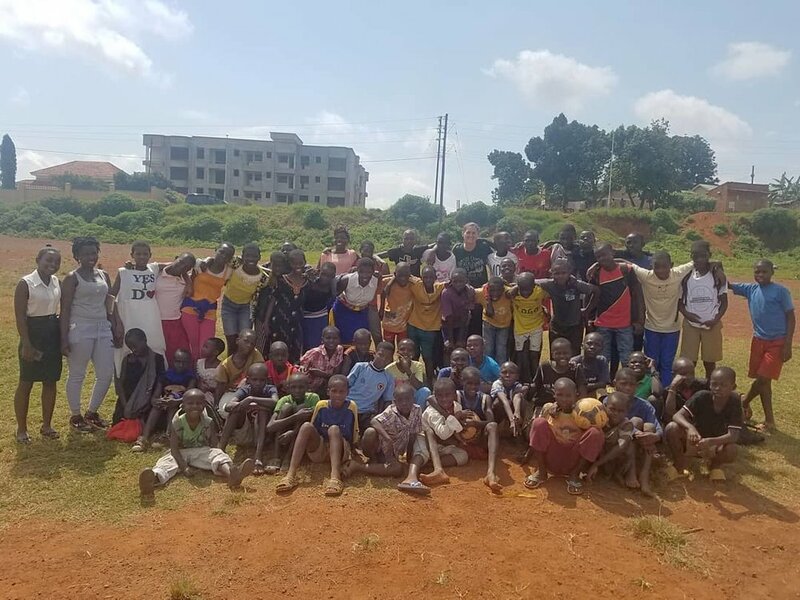 After receiving more than 60 pairs of secondhand cleats, a dozen balls, shin guards, stockings, practice jerseys, training cones, and pop-up soccer goals, the next logical step was to find children to use all those items, which mainly came from our network of Kitiibwa sponsors and partners. Without any advertising or announcements, the first three boys who came were picked up along the route when founders, Stephen and Cassie, were on their way from the house to the rented soccer pitch. They were neighborhood boys who were playing soccer in the street with a ball made from plastic bags. They called to some of their nearby friends to tell others and, within a few minutes, there were 15 boys at the pitch that morning. Just one week later, those same boys were waiting with anticipation at the corner for us to pass by on our way to the pitch. After walking with them to the pitch, we found a handful of other boys already waiting. Within minutes, more than 50 children were there and ready to play! Among them, were 13 girls! There is a small niche of girls who are allowed to play soccer in Uganda, as it's usually said to be a male-only sport. But these girls wanted to play, so, of course we allowed them to jump in and play with the boys. They all had a great time! 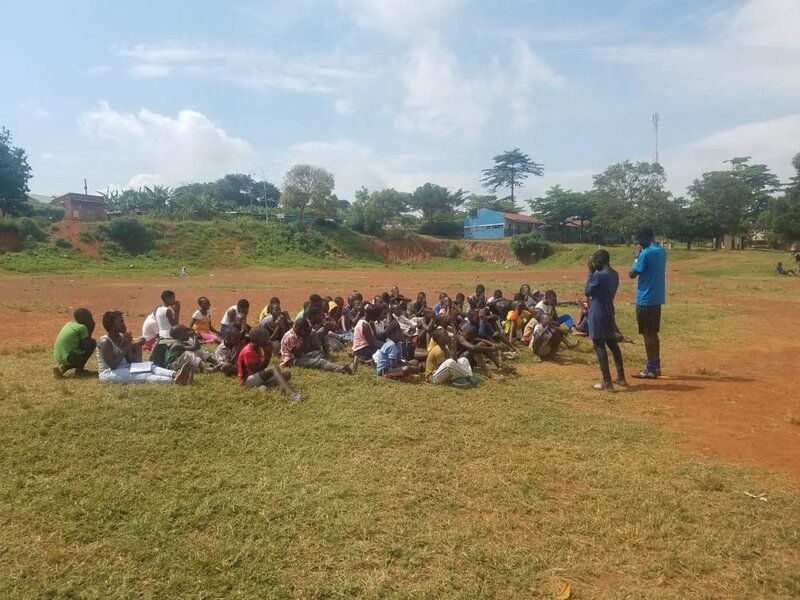 Before we begin soccer training, the children are exposed to biblically-based lessons and we end every session with a prayer. While being a Christian is by no means a requirement for being on the team, they all love hearing the lessons brought forth and volunteer to offer up the prayer to end the session. Every week, the sports ministry is growing and becoming more refined in their skills! The sports ministry, like everything else we are able to do, is 100% possible due to financial supporters and partners. None of this would be possible without the bags and bags of donated cleats and balls, the gifted scrimmage jerseys and nets, and the financial donations that sustain the field rental/maintenance and other needs. To support the sports ministry with donations of balls, cleats, jerseys, etc., please email Stephen@kitiibwaministries.org and we will help you find a way to collect donations and get them to Uganda. To support the sports ministry with a financial donation, click on the button below.